Design Engineering Lautoka football players received an unprecedented share of the prizemoney from recent tournament wins, with a number receiving over $2000 on Saturday night. In a private function the players and their families were joined by Fiji Football Association president Rajesh Patel, vice-president, Tarunesh Reddy and chief executive officer Mohammed Yusuf along with invited guests. 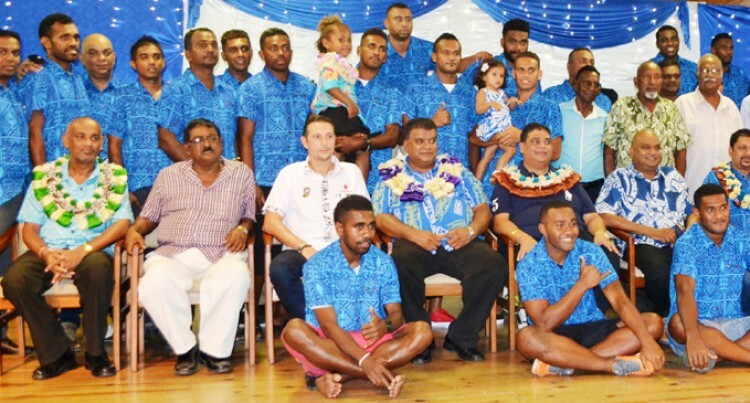 Patel congratulated Lautoka for winning the Courts Interdistrict Championship. “You thoroughly deserve it,” he said. Patel said the support for the team on and off the field had been tremendous. “Especially your women’s fan club who has also contributed to your overall success this year where you’ve won the Pillay’s Garment CvC, Vodafone Premier League and the Courts IDC. “I must commend the able leadership of your president Abdul Kadar who looks after the welfare of the players and this has culminated with a fine season. Lautoka FA president Kadar thanked Design Engineering for being their main sponsor during the IDC. Kadar was referring to the amount of criticism levelled at the officials over the inclusion of players from outside Lautoka. The players received cash prizes and hamper packs from Punjas and Bank South Pacific (BSP). The maximum payout for a particular player was over $2000 depending on the number of games they played.